And at the HackGT hackathon October 19th-21st at Georgia Tech, Yates won again, this time on a hack she worked on by herself. She made a web-based game to help kids code, winning the Equity in Computing Prize from the Georgia Tech Constellations Center and honorable mention from Disney Tech. “I wanted to create a simple game that encourages kids to learn valuable programming ideas while also having fun,” Yates said. More than 1,000 students from 80 colleges and institutions attended HackGT, a 36-hour hackathon where participants worked around the clock to develop websites, apps and other high-tech innovations. 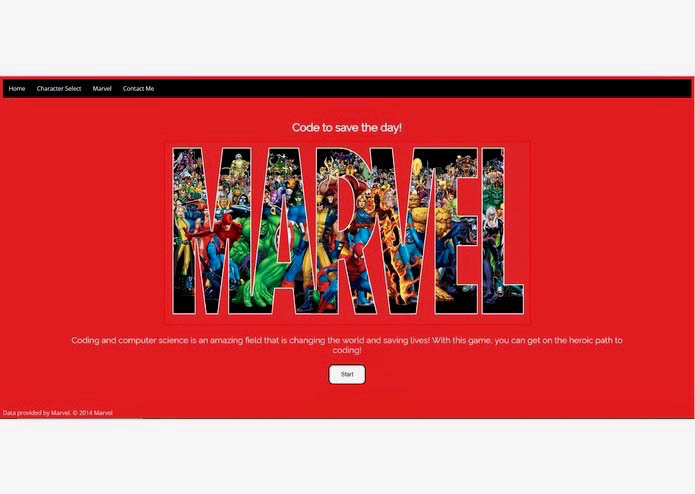 APSU student Robyn Yates’ “Heroes Code” is a web-based game that allows budding programmers play a simple game that uses Marvel characters to teach coding. “Ever since I discovered coding, I fell in love with the amazing feeling and problem-solving I could do,” Yates, a senior studying computer science, said. “I want to introduce kids to this same feeling because it is truly my passion. 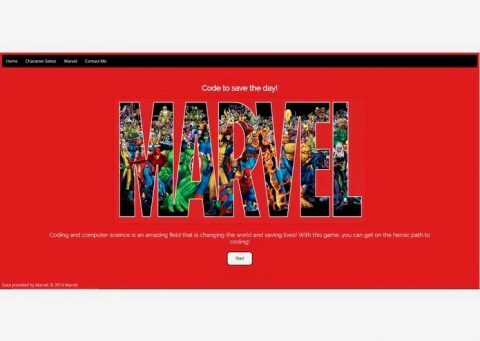 That was the inspiration behind Heroes Code, a game that allows players to access Marvel characters to play a game that teaches coding. The game uses simple commands that allow characters to move and attack the enemy. 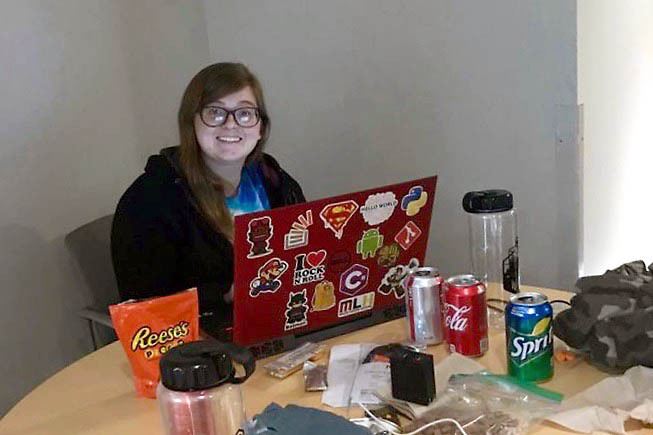 APSU student Robyn Yates worked around the clock during the 36-hour HackGT. 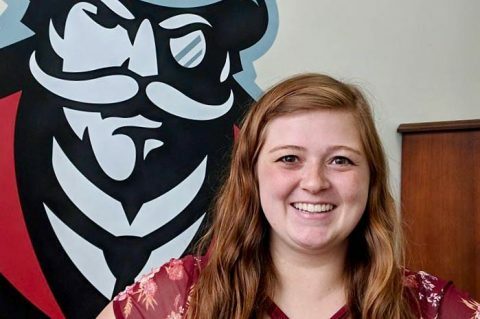 Yates and other Austin Peay students competed in the Mid-Central USA Regional of the International Collegiate Programming Contest that was held November 3rd. To see Yates’ winning hack, including the coding involved, go to https://devpost.com/software/hackgt-heroescode#updates. Four other Austin Peay students – Suzy Kersten, Harrison Welch, Lexie Nance and Thomas Bau – attended HackGT and entered their “OpenTour” hack. You can see it at https://devpost.com/software/open-tour. For more about HackGT, visit https://2018.hack.gt/. To see the APSU student hack “Pi-Mail” – which lets you know when you get mail, and won two categories at VolHacks – go to https://devpost.com/software/pi-mail. For more about the Austin Peay ACM club, go to https://www.facebook.com/apsuacm. To learn more about the International Collegiate Programming Contest, visit https://icpc.baylor.edu/.